In case you haven’t heard, our 4th Annual Open House is just 3 weeks away!!! This year we are raising the bar. Not only will we have the bounce house that we’ve had the past 2 years, but we will also have Peter’s Chicken BBQ meals (CALL TODAY TO PURCHASE YOUR TICKETS! 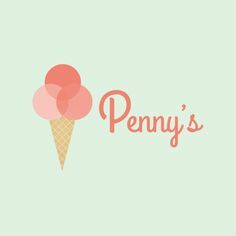 ), a live band, AND Penny’s Ice cream truck! I had a nice size serving of their Lemon Ginger Cookie while Tyler had their Peanut Butter Oreo the other night and they were both absolutely delicious! So put August 13th on your calendar and bring the family with you! BBQ tickets are $10 for a full meal and it would be a huge help if you called our office at (717) 626-4520 to preorder your tickets. All proceeds benefit the Jack Reich Memorial Fund which provides scholarships for underprivileged kids to Camp Conquest in Denver, PA and River of Life Camp in Irasburg, VT.
Posted in Uncategorized on July 26, 2016 by sharp_admin.